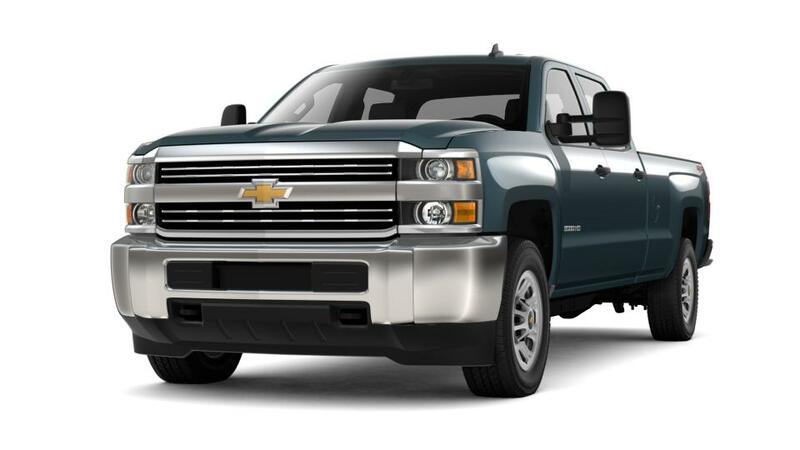 2019 Chevrolet Silverado 3500HD Work Truck Vortec 6.0L V8 SFI Flex Fuel VVT**INCLUDED FEATURES & OPTIONS: Convenience Package (110-Volt AC Power Outlet, Auto-Dimming Inside Rear-View Mirror, Black Power-Adjustable Heated Outside Mirrors, Deep-Tinted Glass, Remote Keyless Entry, and Remote Locking Tailgate), Preferred Equipment Group 1WT (150 Amps Alternator, 3.5" Diagonal Monochromatic Display DIC, Black High-Visibility Outside Mirrors, Power Windows, Rear 60/40 Folding Bench Seat (Folds Up), and Steering Wheel), Snow Plow Prep Package (220 Amp Alternator and Provision for Cab Roof-Mounted Lamp/Beacon), Standard Suspension Package, Trailering Equipment, 18" Painted Steel Wheels, 4.10 Rear Axle Ratio, 4-Wheel Disc Brakes, 6 Speakers, 6-Speaker Audio System, ABS brakes, Air Conditioning, AM/FM radio, Brake assist, Bumpers: chrome, Chevrolet 4G LTE, Cloth Seat Trim, Delay-off headlights, Driver door bin, Dual front impact airbags, Electric Rear-Window Defogger, Electronic Stability Control, Exterior Parking Camera Rear, Front 40/20/40 Reclining Split-Bench Seat, Front anti-roll bar, Front Center Armrest w/Storage, Front License Plate Kit, Front reading lights, Front wheel independent suspension, Fully automatic headlights, Integrated Trailer Brake Controller, Low tire pressure warning, Occupant sensing airbag, OnStar & Chevrolet Connected Services Capable, Overhead console, Passenger door bin, Passenger vanity mirror, Power steering, Power windows, Premium audio system: Chevrolet Infotainment System, Radio: Chevrolet Infotainment System, Rear reading lights, Rear seat center armrest, Rear step bumper, Smoked Amber Roof Marker Lamps, Speed control, Split folding rear seat, Spray-On Pickup Box Bed Liner w/Bowtie Logo, Tachometer, Tilt steering wheel, Traction control, Trip computer, Variably intermittent wipers, and Voltmeter.All Applicable Rebates have been applied. Buyer may be eligible for further rebates. Please see dealer for full details. We offer FREE PICK UP AND DELIVERY of your car while you work or a FREE LOANER for extended service visits (plus tax, see service for details).